It can make the food delicious and do not destroy the alimentation in the food, keep the food. 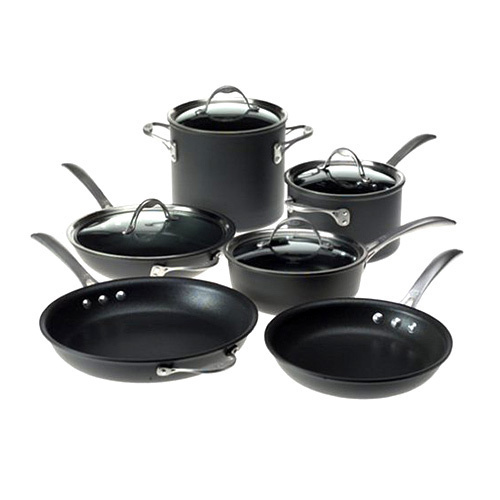 It is with non-stick function, can be easy cleaned and can be used for long time. With 10 years of rich industry experience, we are engaged in the wholesaling, retailing and trading of premium electronic home appliances. We procure these products from highly reputed vendors who make use of high quality material and components in the manufacturing process. The products offered by us include air conditioner, domestic refrigerator, LCD TV, washing machine, microwave oven, DVD player, home theatre system, water purifier, air coolers, juicer, mixer and grinder, vacuum cleaner, ceiling fan, water cooler, desk telephones, gas stove, cordless phone, mp player, security locker, dish washer, audio system, coffee maker, video camera, cloth dryer, water heater, TV plasma monitor, kitchen chimney, induction cooker, non stick cookware, hand blenders and rice cooker. We are backed by a diligent taskforce that remains dedicated to provide superior products to our clients. Our professionals ensure that the products are in conformation with set norms of the industry and provide maximum client satisfaction. They ensure that we have with us a diversified range of ready stock that meets the exact requirements of our clients. Their well coordinated efforts enable us to make timely deliveries of our products and have enabled us to develop a wide spread client base.